At Inner Beauty Concepts in Nashua, we provide eyebrow and eyelash tinting to create more definition around your eyes. Eyelash tinting is perfect for those who want to avoid the flaking associated with mascara, but who still desire long, dark, and full lashes. Eyebrow tinting is available as well and perfect for anyone looking for brows that are filled in and full. Book your spa treatment for eyebrow or eyelash tinting today. Eyelash tinting is one of the greatest alternatives to using mascara as it immediately shows the true length of your lashes with intense color that lasts! Using products formulated with safe, natural ingredients, a licensed esthetician will help you choose from seven basic tint colors. Let us create a striking, mascara-free look in just minutes! Highly recommended for contact lens wearers who avoid the irritating effects of flaking. Take your lashes to a new level of gorgeous! Our day spa eliminates the need to incur significant expenses and time out of your busy schedule to install lash extensions. In only six weeks, you can double and triple the length of your own lashes with no maintenance! 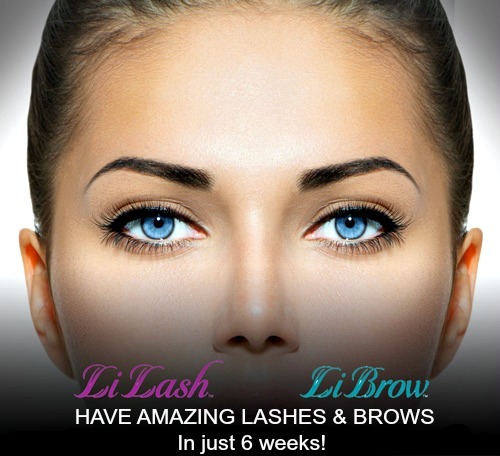 Safe and available, LiLash has become an unprecedented international sensation with women looking to enhance the growth and appearance of their long beautiful lashes. By fortifying and conditioning lash follicles, LiLash’s unique purified eyelash serum works magic! LiBrow has done the same for women in search of thicker, fuller, and sexier brows. Come by today! Mini sizes available!